This file name is reserved for use by Windows. Choose another name and try again. Why can't we name a file or folder CON in Windows? "con" is the name of a system I/O device, the console. And a couple others, I think. I'm typing some text here. 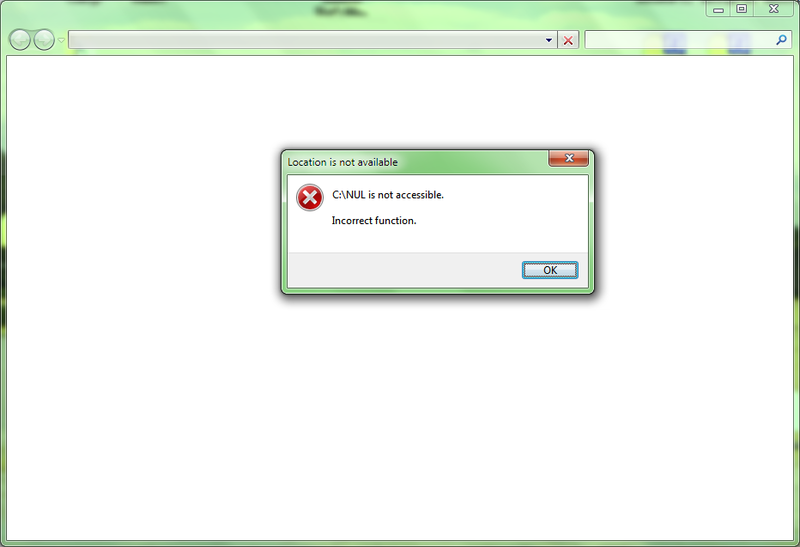 CON is a reserved name in Windows. So are PRN, AUX, NUL, LPT1 and others. to delete the folder, you have to reference it the same way, or else it won't work. my advice though is to just use a different name. it would be very difficult to always refer to it via its absolute path, especially if you are developing an app you plan on deploying. After \\?\ the full path should be specified. Just like there are characters that cannot be used in a filename, there are also several words (whole filenames) that cannot be used because they are reserved. So it is a reserved word and cannot be used as a folder name in Windows. Any access to an object with a reserved device name is treated as referring to the device specified by that name, unless you use the aforementioned namespace workaround. These errors occur because Windows is attempting to operate on them as if they were normal folders, but you can't open a device named NUL, CON, or otherwise as a folder—hence the Incorrect function error (which is similar to the Inappropriate ioctl for device error on Linux). Not the answer you're looking for? Browse other questions tagged windows windows-explorer rename filenames or ask your own question. 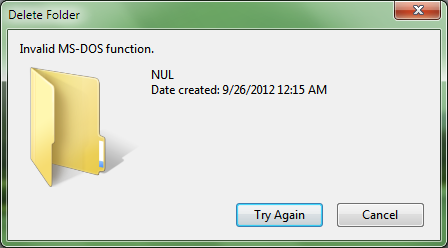 Why can't we make CON, PRN,Null folder in windows? Please help me delete a file? Why can't one create a folder/file named “CON”? How to force Windows to rename a file with a special character? How to delete a file with a bad file name?